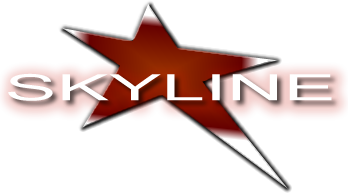 Aerial Cube - Cirque - Skyline Talent & Events - Exclusive representation for Cirque USA. In this unique act, the Aerial Cube is a combination of acrobatics and technical prowess, in which the threshold of disequilibrium could be crossed at any moment. Awareness of the other and the quest for a point of stability 24 feet above the ground becomes the theme of this trio's cubic performance. 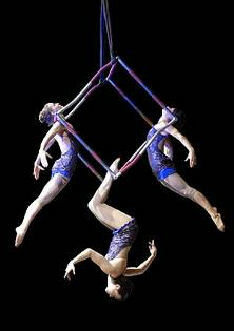 This original and dynamic act is also a graceful and captivating dance where the acrobats move in perfect balance. Requires Certified Aerial Rigger – 6 Minute Act 24 ft ceiling height required off of one rigging point that holds a shock load up to 1,000 lbs. Cast in Orlando, New York.